The Dodgers are the clear favorite in the National League, but the Nationals and Cubs have brought in reinforcements to try and keep up. We discuss it all in our latest Power Rankings. They’re a loaded team, armed with youth and veterans, stars and invaluable role players. They’re a venerable franchise, rolling over the rest of the National League and eyeing the end of a long World Series drought. The 2017 Dodgers look a lot like the 2016 Cubs right now. Even with two and a half months left in the regular season, you can close your eyes and imagine them vying for a championship in the waning days of October. It’s the NL version of The 30, and the Dodgers are the team to beat. When you’re a team on pace for your worst season in 56 years, you look for any signs of hope, no matter how small. A power spike for a developing slugger. Even an encouraging performance from a A-baller who might be years away from making the Show. 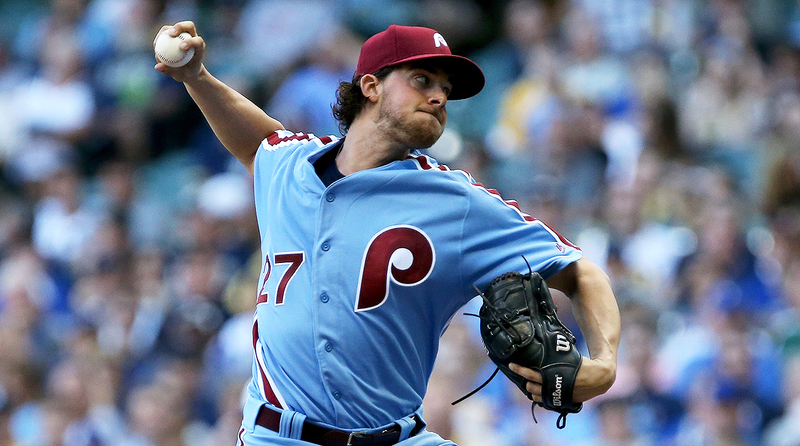 In the Phillies’ case, one ray of hope is Aaron Nola. The seventh overall pick in the 2014 draft, Nola projected as a potential future ace, when he made his major league debut barely a year after getting drafted. He then proceeded to offer a lesson in the vagaries of statistics, and how factors largely beyond a pitcher’s control can greatly affect his fortunes. In his rookie campaign of 2015, Nola twirled 77 ⅔ innings, posting a 3.59 ERA that was 7% better than league average on a park-adjusted basis. But those results were deceiving: Nola had been extraordinarily stingy with runners on base, with 80.4% of the runners he put on getting left out on the pond—the third-highest mark among all National League starting pitchers with as many innings pitched. At first glance, his 2016 season seemed to go much worse. For one thing, a sprained UCL blew up his season, ultimately knocking him out for the year in late July. But the biggest factor ballooning his ERA to an ugly 4.78 ERA that year wasn’t health, so much as it was luck. From a skills standpoint Nola thrived, punching out an eye-popping 121 batters while walking just 29 in 111 innings. Unfortunately, his good fortune with runners on base completely deserted him: No NL starter stranded a lower percentage of runners last year than did Nola (60.4%). Modern pitching analysis tells us that strand rate is a stat largely driven by luck, with fringe pitchers sometimes posting sky-high rates, even as some stars mysteriously struggle with men on base. The good news for Nola is that his luck has equalized this season: 76.8% of the runners he’s put on haven't come around to score, a rate that’s above average but also within the normal range. That’s allowed his core skills to shine, with Nola pumping up his fastball velocity, striking out more than a batter an inning for the second straight season, and limiting hitters’ ability to pull pitches better than he ever had before. Nola’s past five starts have highlighted his impressive potential: 35 ⅓ innings, 41 strikeouts, a 1.78 ERA, and an opponents’ batting line of .186/.250/.318, with 66% of the pitches he’s thrown going for strikes. Small sample? Sure. A badly needed silver lining in an awful Phillies season that’s tested the patience of even the biggest advocates of rebuilding? Also yes. We’ve already got ample evidence that adjustments to the baseball have triggered an onslaught in home runs, with a bouncier core and flatter seams fueling a season that could yield more homers than any other in MLB history. As if that weren’t a big enough problem for pitchers to face, another source of concern has sprung up, one that’s increasingly being blamed on those adjustments to the seams: a blister epidemic. 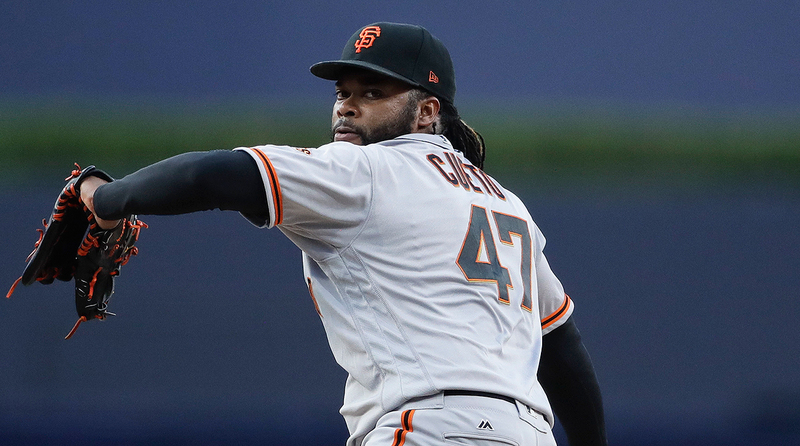 Giants right-hander Johnny Cueto joins a long list of talented hurlers who’ve dealt with blister problems this year, in some cases resulting in injuries so severe, they’ve required extended trips to the disabled list. Aaron Sanchez, Rich Hill, Noah Syndergaard, Jharel Cotton and Taijuan Walker have all dealt with ugly hot spots on their pitching hands this year. Marcus Stroman recently said he’d never had a blister problem in his life until this season, placing the blame squarely on the new baseballs. For the Giants, Cueto’s blister struggles could prove especially costly. The veteran right-hander can opt out of his contract and test free agency at the end of this season. That opt-out clause, combined with the Giants being hopelessly out of the playoff race, could have made Cueto an intriguing trade deadline candidate, on the theory that he’d be a rental who wouldn’t cost a boatload of top prospects, or cash, to acquire and retain. But Cueto lasted just four innings and 82 pitches on Friday, before landing on the DL with multiple blisters. 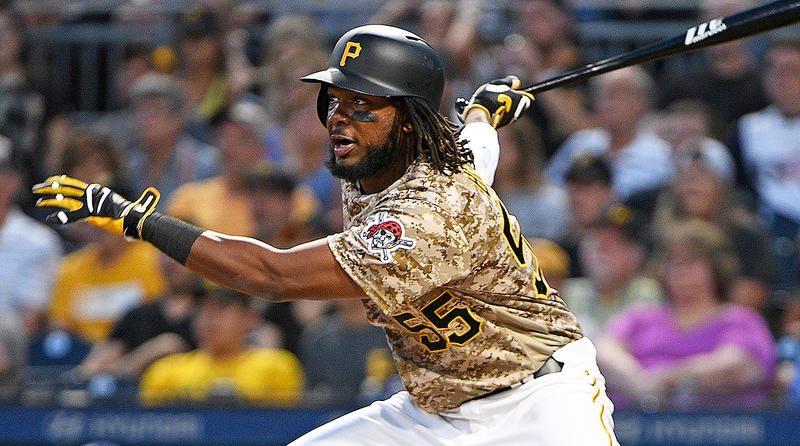 There’s still time between now and July 31 for Cueto to heal and become viable trade bait again. But given that he’s already battled command troubles all season and is sitting on the worst park-adjusted ERA of his career, having a right hand full of painful sores might end up scuttling the Giants’ chances to trade him and recoup some desperately needed young talent for a team that suddenly looks very, very old. Precedents are a funny thing in baseball, especially when it comes to trades. Once a deal is made that features certain parameters, that supposedly sets the market for other swaps. 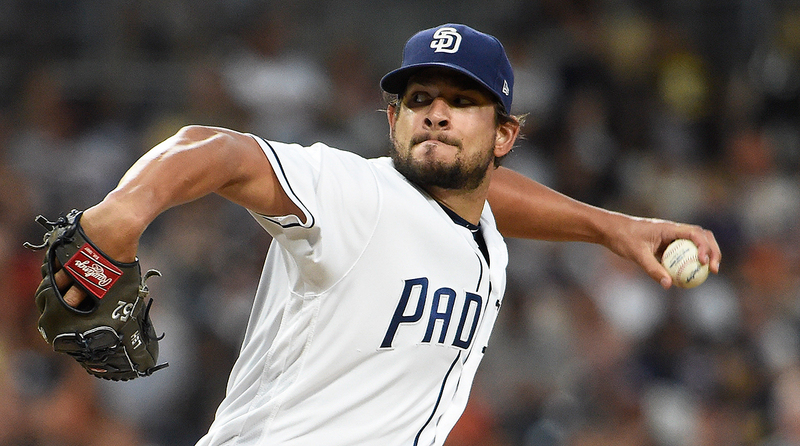 That baseball tenet, combined with the bottoming-out Padres badly needing high-impact young talent if they hope to successfully rebuild, has triggered some big demands for reliever Brad Hand. Granted, Hand is in the midst of an impressive season. The 27-year-old left-hander ranks fourth among all NL relievers in innings pitched. He also ranks in the top 10 for strikeout rate, whiffing nearly one-third of the batters he’s faced this year. He’s held opponents scoreless in each of his past 12 appearances, and just made his first All-Star team. Now consider how Hand became a Padre: The Marlins cut him loose at the start of the 2016 season, so San Diego snagged him for nothing more than the cost of a waiver claim. That makes general manager A.J. Preller's reported asking price for Hand shockingly high. Other teams say that for now, the Padres are looking for a return on lefty Brad Hand similar to what the Phillies got for Ken Giles. That doesn’t mean Hand can’t be a quality pickup for a bullpen-needy contender. His combination of durability and sky-high strikeout rate is rare for a reliever, even more so for a lefty. Plus he can’t test free agency until after the 2019 season. 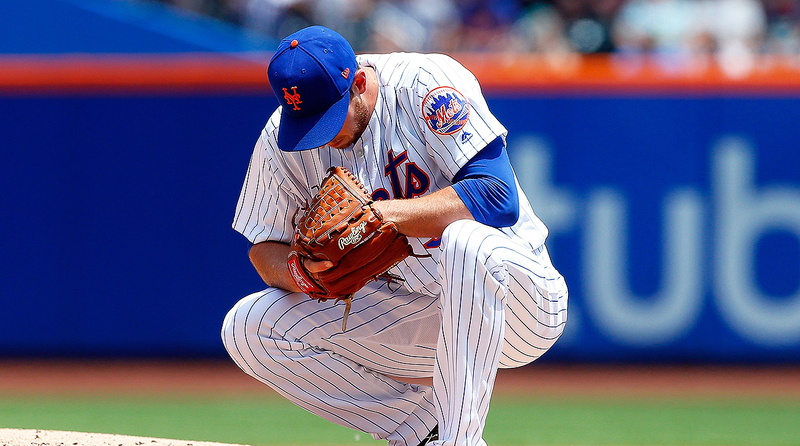 But reliever pitchers are the most volatile commodities in baseball, combining the inherent injury risks that accompany any pitcher with a skill set that makes them inherently risky. Most relief pitchers are failed starters who’ve had to settle for lesser responsibilities in the pen. That’s how waiver claims become All-Stars, and how All-Stars can pitch their way off a roster. It’s still worth Preller’s while to aim high, given the gigantic prices paid for a few relievers in the past few years, even in this analytically-savvy era of baseball. If one team does take the bait and empties its farm system to get a guy unwanted by a lousy team just 15 months ago, imagine how much the next reliever coming off three and a half months of solid work might fetch. So much for that. Gennett’s been a man possessed since his four-homer megaday, launching nine more homers and driving in 23 runs in his past 28 games, with an OPS better than 1.000. Gennett’s continued assault on outfield fences puts the Reds in a weird spot. On one hand, they’re in full rebuild mode and would like to see what they have in Jose Peraza, the 23-year-old speedster acquired via three-way trade with the Dodgers and White Sox in December 2015. On the other hand, Peraza has been unfathomably bad with the bat this season, batting a brutal .253/.276/.331. No matter how much a team might want to build for the future, it’s hard to bench one second baseman who’s hitting like Rogers Hornsby for another one who’s hitting like Bruce Hornsby. 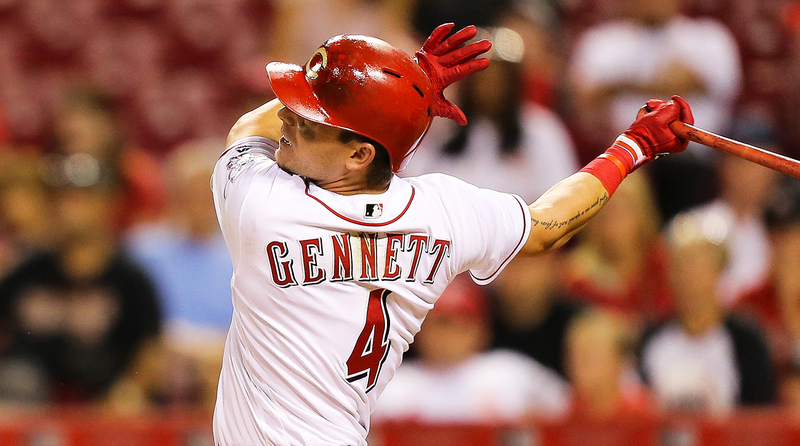 If a second base-needy team were to come calling with a trade offer, Gennett would seem a perfect candidate to go ply his trade elsewhere, where his home-run blitzkrieg would be welcome, not a source of organizational agita. It’s that time of year—time for Giancarlo Stanton fake trades! Every year around this time, talk radio hosts in New York, Boston, and other big markets start fantasizing about the Goliath outfielder getting dealt to their home teams in exchange for a bucket of beans. As it’s been every other year, it’s not going to happen now either. 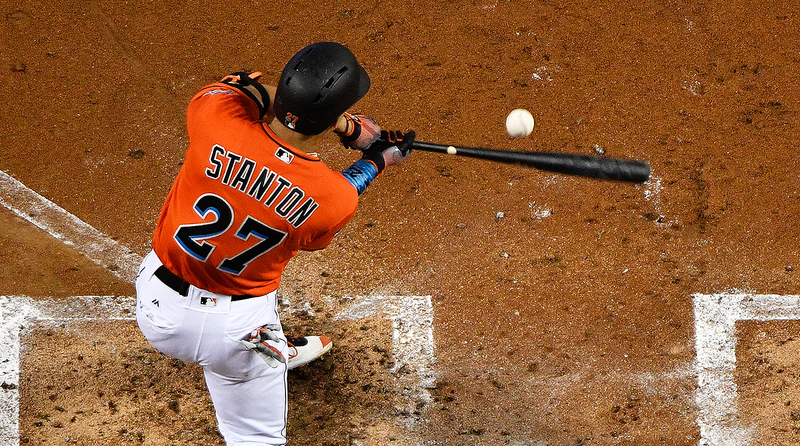 Marlins owner Jeffrey Loria gave Stanton the biggest contract in baseball history because he wanted a marketable star for his team; he and team president David Samson have repeatedly stressed that Stanton’s not going anywhere. With the Fish now up for sale, a blockbuster trade involving the team’s franchise player becomes even more unlikely. If you’re an interested Marlins suitor, why would you want lame-duck ownership to get to decide what to do with Stanton, when the franchise could land in your hands any day now? So for now, Stanton will continue to benefit from his inside track on those incredibly scarce Marlins season tickets. As for all those fake Stanton rumors? They’ll soon drop out of sight. As of May 10, the Braves were who we thought they were. The team that lost 93 games and finished dead last in 2016 had limped to an 11–20 start this season, knocking them back into the cellar yet again. That was then. A 34–25 run, with eight wins in their past 12 games, is now. In a division that’s been brutal to watch unless you’re a Nationals fan, Atlanta’s added an air of respectability, surging into second place. You can find multiple factors working in the Braves’ favor, from the savvy buy-low acquisition of Matt Adams from St. Louis to the emergence of hard-throwing righty Mike Foltynewicz to the unlikely ascent of surprise catching star Tyler Flowers. Here’s one you really wouldn’t expect: R.A. Dickey. Yes, R.A. Dickey! The 42-year-old knuckleballer came to Atlanta on a one-year deal, ostensibly to eat a bunch of innings with his rubber arm. He did that, and only that, in his first 13 starts of the season, tossing five or more innings every time, three times lasting seven innings ... while posting a ghastly 5.35 ERA, with 83 hits, 34 walks, and 15 homers allowed over 77 ⅓ frames. In his five starts since then, Dickey suddenly looks like the miraculous Cy Young-winning pitcher we saw with the Mets: 33 innings, 27 strikeouts, eight walks and 25 hits allowed, and a sparkling 1.09 ERA. Though the image of the slow, floating butterfly tends to linger in people’s heads, Dickey’s often at his best when he’s getting a little extra mustard on his knuckler. Turns out he’s firing that pitch at about 78 mph during this hot streak, the most velocity we’ve seen from his knuckleball since that incredible 2012 campaign. Now here’s something really wild: The Diamondbacks and Rockies are both starting to fall back toward the pack, the Braves sit just a half-game behind the Cubs as a darkhorse wild-card contender ... and the Cubs just made a blockbuster, go-for-it trade. 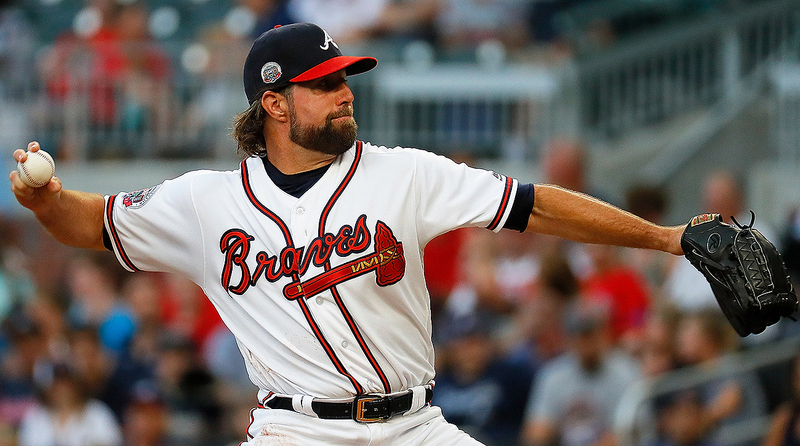 A Braves team that seemed like it might need the rest of the decade to rebuild thus might steer clear of the veteran-for-prospect deals that seemed like a sure thing just a few weeks ago. Crazy things happen when you refuse to knuckle under to the pressure. 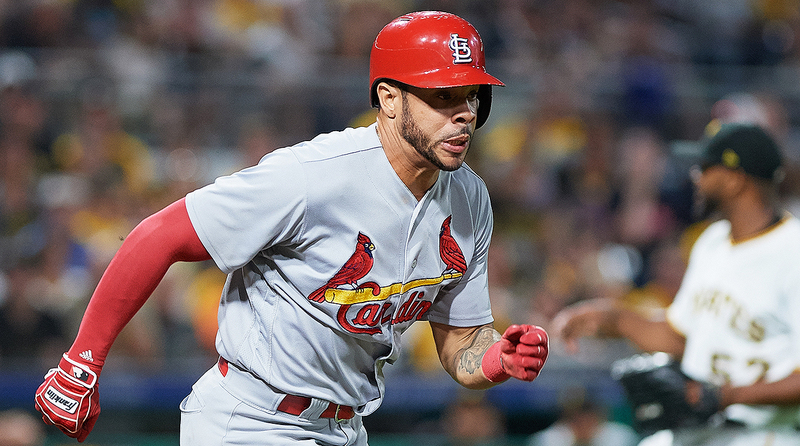 In a frustrating season full of disappointment, the Cardinals’ presumed fourth or fifth outfielder raking suddenly raking is a welcome surprise. As Tom Verducci eloquently wrote in his book The Cubs Way, Theo Epstein and Jed Hoyer aimed to build a championship team around young, cornerstone offensive players like Anthony Rizzo and Kris Bryant. Their strategy for acquiring pitching help would be far more ad-libbed, with a combination of big spending when necessary, plus the hope of finding quality arms under rocks. The problem with trying to buy low is that those kinds of needle-in-a-haystack pitchers tend to carry more risk than blue-chippers. Thus you have incredible finds like Jake Arrieta and Kyle Hendricks suddenly struggling this season ... not to mention big-dollar free agents John Lackey and Jon Lester shouldering their own share of lousy results. Add it all up and you had a Cubs rotation badly in need of quality arms, preferably younger pitchers with multiple years of controllable service time. Come on down, Jose Quintana! It’s quite possible that the Cubs grow to miss the four prospects they sent to the White Sox in exchange for Quintana’s services, especially 20-year-old outfielder Eloy Jimenez. But Quintana checked all the boxes for the Cubs: A durable lefty who, other than a mysterious 11-start stretch at the beginning of this season, has been a metronome of strong performance going back to Opening Day 2013. 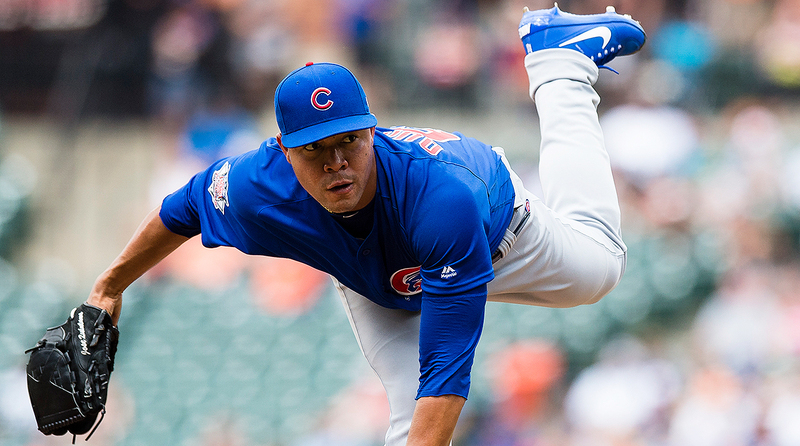 Quintana’s first start as a Cub following the trade? Pretty, prettyyyyy good. The 28-year-old southpaw annihilated a power-laden Orioles lineup in Baltimore, hurling seven shutout innings, allowing just three hits, walking none, and punching out a jaw-dropping 12 batters. It’d be pretty fun if Quintana rejuvenates the teetering Cubs and gets them back on the World Series track now, followed by Jimenez and friends forming the foundation of a perennial winner on the South Side in the early 2020s. 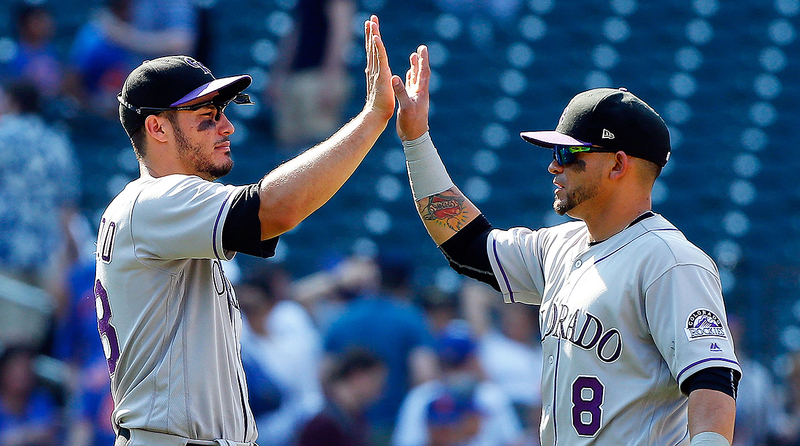 The Rockies owe their success this season pretty much entirely to vastly improved pitching. To wit: Account for the massive adjustment statheads make for Coors Field, and Colorado ranks dead last in all of baseball for park-adjusted offense. So while many contenders desperately search for rotation and bullpen help, the Rox are going after bats. With extreme groundball hitter/left fielder Ian Desmond predictably failing to produce, and normally potent right fielder Carlos Gonzalez unpredictably failing to produce, Colorado’s reportedly showing interest in slugger/free-agent-to-be J.D. Martinez. After missing the first five weeks of the season with a foot injury, Martinez has been one of the most productive power hitters in the league, launching 16 homers in 229 plate appearances, while slugging an impressive .636. As FOX Sports’ Jon Morosi noted in his Martinez report, the NL West is loaded with very good left-handed pitchers, making the righty-swinging Martinez’s services that much more valuable to the Rockies. And while being short on bats isn’t ideal, Colorado’s pitching turnaround and winning season to date are still a hell of a lot better than where this team has been at any point in the past seven seasons. The temptation is to worry. You see a team that hasn’t had a winning season since 2011, then an incredible start this season, and you wonder if it might’ve been a fluke. Five straight losses (eight out of nine) can add fuel to the panicky fire. As always, context is everything. No team in baseball owns a bigger home/road split than the Diamondbacks. They’re hitting an impressive .278/.350/.491 at home and just .238/.304/.382 on the road. Yes, Chase Field is playing like an extreme hitter’s park this year. Still, this is the kind of split you’d expect to see from Rockies hitters, who it’s been argued become even more Jekyll-and-Hyde than a mere raw park adjustment would suggest, due to the drastic changes (and accompanying overcompensation) that comes with switching from mile-high altitude to sea level. Well, it turns out six of those past nine games have come on the road, with three coming against the stingy Dodgers pitching staff. Sure, there’s no excusing dropping two out of the three at home to the lowly Reds and scoring just a single run over those two losses, so call this a slump if you must. Still, the pieces are here for a solid finishing kick, and a trip to the postseason. 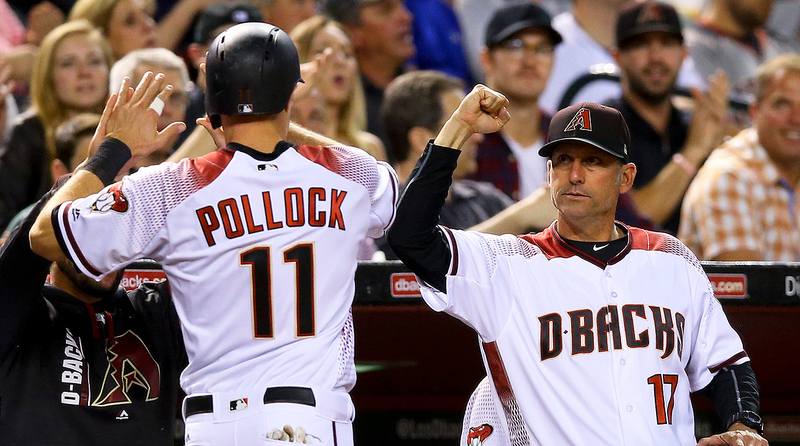 Paul Goldschmidt and Jake Lamb are true hitting stars who can carry the club. The supporting cast includes David Peralta, Brandon Drury and Chris Owings, all of whom have delivered better-than-average numbers, even after adjusting for Chase Field’s effects. A bigger reason for optimism is the return of center fielder A.J. Pollock. Two years ago, Pollock blossomed into a five-tool star, batting .315/.367/.498, belting 20 homers, swiping 39 bases, and playing excellent defense in center field. Yes, a fractured elbow cost Pollock most of the 2016 season and a groin injury cost him another month and a half this year. And yes, Pollock hasn’t exactly lit up the scoreboard since returning on July 4, going 5-for-27 with two extra-base hits. The numbers should come as he puts more space between himself and the groin injury, and sees enough everyday reps. Moreover, the offense should get an additional boost in left field soon: The D-Backs should either get last year’s 31-homer man Yasmany Tomas back soon from a groin injury, or they’ll jump on the trade market for reinforcements. Now here’s the best reason yet to think positive: math. The Diamondbacks currently own the top wild-card slot in the National League, meaning two teams would need to pass them to scuttle plans for October. If the D-Backs merely play .500 ball from now through the end of the season, they’ll end up with 88 wins. After the Rockies, the next closest wild-card contender is Chicago, which would need to play at a 98-win pace the rest of the season to get to 89. Those are encouraging odds to have working in your favor. The #Brewers (20-18) and Astros (19-17) are the only teams in MLB to have a winning record in games where the opponent scores first. Update that stat to 20–17 for Houston after Sunday’s come-from-behind win over the Twins and 20–19 for the Brewers, after they fell behind early against the Phillies and went on to drop a 5–2 game on getaway day. The point stands: The Crew’s been resilient this year, blending a dangerous offense with some bullpen heroics to come back frequently. Of course, getting ahead early would still offer an easier path to victories. 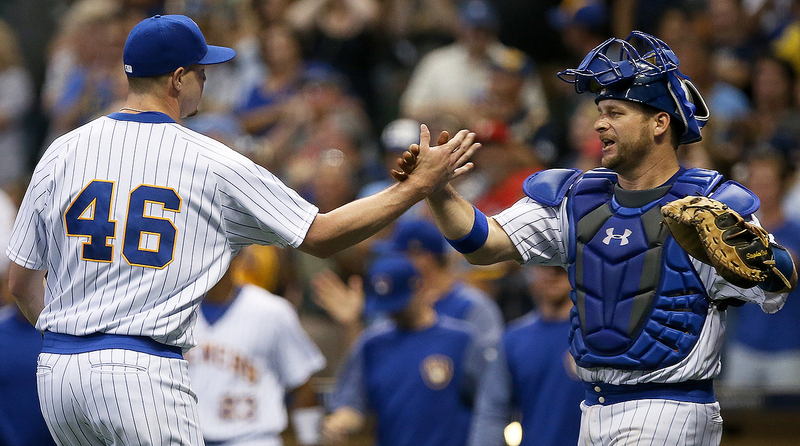 So here’s some potential good news on that front—the Brewers are shopping. Nick Cafardo of the Boston Globe reports that Milwaukee has shown the strongest interest in A’s starter Sonny Gray. The right-hander has put up a bounceback season, slicing his ERA by nearly two full runs after a disastrous 2016, with lights-out results in his past four outings: a 1.33 ERA, and an opponents’ batting line of just .122/.168/.244. Best of all, Gray fits with what the Brewers are trying to do. Milwaukee GM David Stearns has made clear he wants his team to try and capitalize on this season’s ahead-of-schedule success, but without torching the future. In Gray, the Brewers could acquire a 27-year-old in his prime, who won’t crush the team’s moderate payroll and can’t test free agency until after the 2019 season. Sure, it would still take an impressive haul of prospects to reel him in, perhaps not that much less than it cost the Cubs to snag Quintana. But the emergence of Eric Thames, Jimmy Nelson, Travis Shaw, Domingo Santana, Manny Pina, Corey Knebel and other surprise bright lights practically screams for an aggressive approach, especially when a Cubs team poised to thrive for the next several years is suddenly treading water this season. The Crew just celebrated the 35th anniversary of the delightful Harvey’s Wallbangers team that surged all the way to the World Series. It’d be pretty cool to hold another 35-year reunion in 2052, honoring all the great things this year’s squad did. A great team with a loaded lineup and killer rotation, plus the worst bullpen in the game. It was only a matter of time before GM Mike Rizzo went shopping for relief upgrades, even in a division that the Nets figured to win in a walk if Krusty the Clown were their closer. On Sunday, Nats fans got their wish. 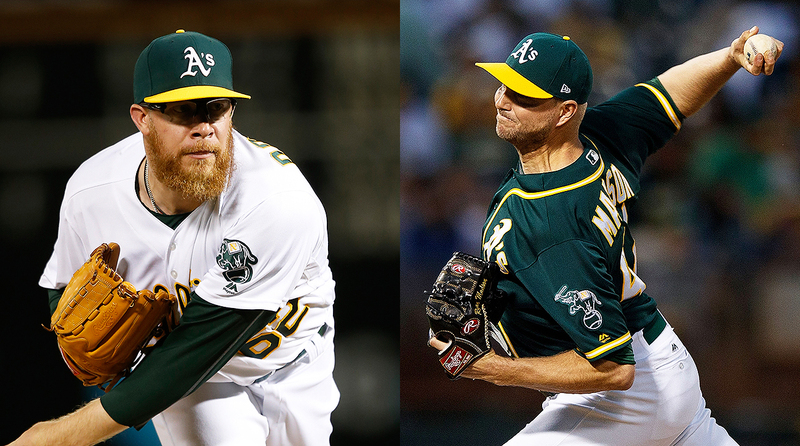 Washington nabbed right-hander Ryan Madson and left-hander Sean Doolittle in exchange for two B-level prospects (left-hander Jesus Lazardo and third baseman Sheldon Neuse), as well as one of the chief offenders in this year’s pen, Blake Treinen. Let’s get the negatives out of the way first. Madson’s dealt with multiple major injuries during his career, so much so that he didn’t throw a single pitch in the majors between 2011 and 2015. He also turns 37 next month, and the $7.5 million the Nats will pay him next year might turn out to be a lousy investment if age, injury, or both trip him up. Doolittle hasn’t dealt with maladies quite that severe, but he’s still got a checkered track record when it comes to health. Injuries have limited him to just 13 ⅔ innings in 2015, 39 innings in 2016, and 21 ⅓ frames this year. Now the good news. Madson’s thrived this year, striking out six and a half batters for every one walk he’s allowed, generating an impressive 55.8% groundball rate and flashing a tidy 2.06 ERA. Doolittle scoffs at that strikeout-to-walk rate, fanning 31 batters while issuing just two free passes. He’s faced 24 left-handed batters this year, recording 12 strikeouts, walking none ... and issuing zero hits. Doolittle’s contract is a beauty too: If the Nationals pick up their options on him in 2019 and 2020, he’ll cost a total of just $18 million for the rest of this season, plus the next three. Given the tire fire that Washington’s incumbent relievers have produced, acquiring just about anyone with a pulse should be an upgrade to its dreadful bullpen. The Nats did a lot better than that here. Joe Ross’s season-ending injury, plus a potential need for even more relief help, could keep them busy for the next two weeks before the deadline. But for the first time this year, you can now close your eyes and imagine the Nationals actually closing out games successfully in October. It's about damn time. They’ve won nine games in a row. They own the best record in baseball. 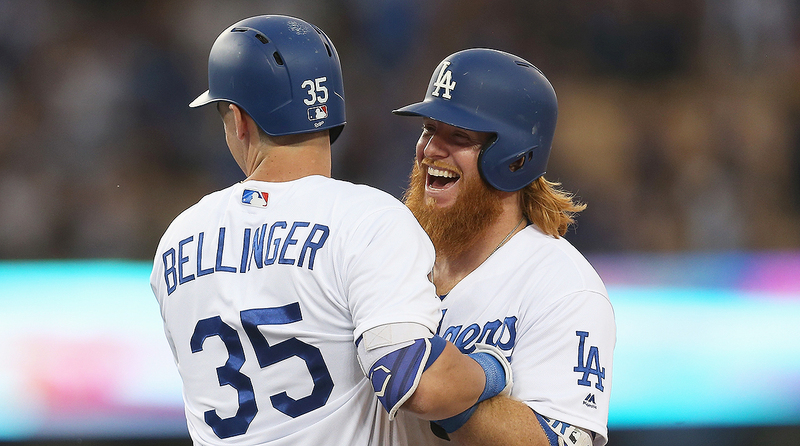 They’re 55–18 since calling up wunderkind slugger Cody Bellinger. Now here’s the craziest stat of all, one that’s been closely tracked by the excellent L.A. Times baseball columnist Bill Shaikin: Since June 7, the Dodgers have lost exactly one game against a National League opponent. And they brought the tying run to the plate late in that one game too. What looked like the most compelling division race in all of baseball has become the biggest runaway in the National League in a span of just a month. After 29 years without a World Series victory, the cycle of losing might soon finally end.